When women get together the subject of fat, wrinkles and complexion usually come up in the conversation at some point in time. A few weeks ago my friends and I were discussing the food benefits of coconut oil. One of my friends whom I have known since high school - trust me that's a long time - anyway, Kay said, "I put coconut oil on my face, especially around my eyes, my elbows and knees too." I had noticed that she was looking pretty good lately. Well, I'm no dummy, I tried it. It has been about two months since that conversation and I have noticed a definite difference for the better! I put it on every night right after I wash my face. I actually use a generic cleansing cream that smells like my old fashioned Noxzema. 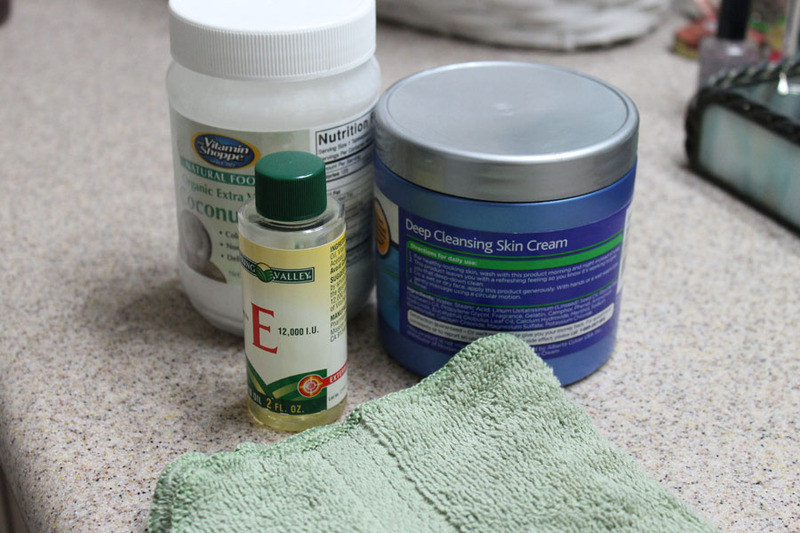 I wash this cleanser off with a warm wash cloth and then apply a little Coconut Oil to my whole face. The vitamin E has been amazing. I wish I had done before and after pictures of that one. I tend to get little mole-like bumps on my face and even my legs. I had one come up on my forehead that was pink and ugly! I wondered if vitamin E oil might work to reduce it. I put some on this place and also my age spots twice a day. That mole is gone! It took about 2 months but honestly, I woke up one morning and it was not there! It had slowly gotten softer and flatter until it disappeared all together. Age spots are still there but I think they may be geting lighter. 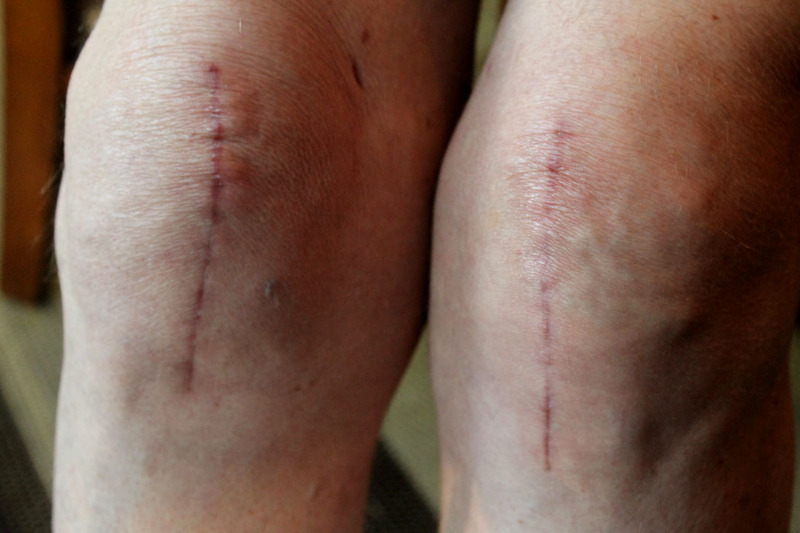 My husband had double knee replacements six weeks ago and here's how the scars look today. They were wide and angry looking when he came home. Vitamin E every day has significantly reduced them. I can't believe he actually let me take this picture. He said, "You know, I don't drop my pants for just anybody"! Got to love him!